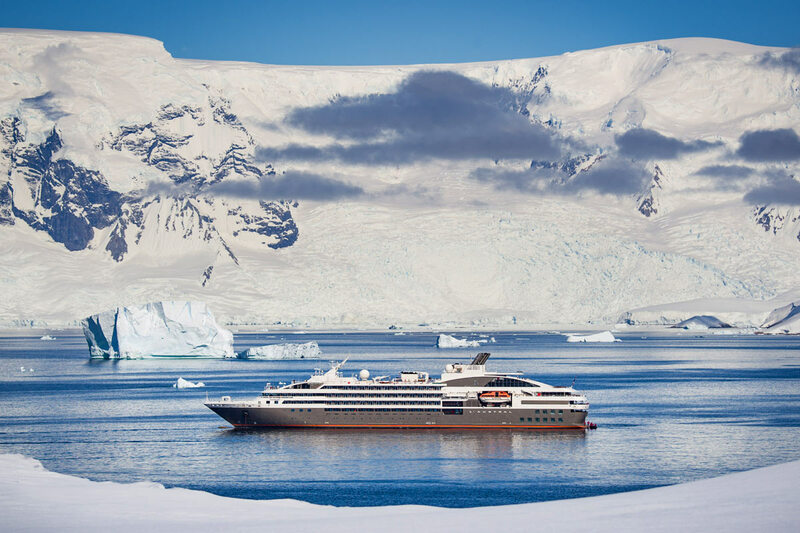 Vessel Type: Expedition Cruise Ship Length: 301 ft, 92 m Passenger Capacity: 100 Built/Refurbished: 2002/2017 This magnificent vessel, with a capacity for 100 guests, has the charm of The Enchanted Islands; it is still small enough for a more intimate experience with friends and family. With her three different decks, the Galapagos Legend offers a great variety of comfortable and spacious social areas without losing its sense of intimacy. Its fantastic open decks allow you to admire the islands’ flora and fauna, enjoy a BBQ at night, or take some sun at the pool and bar areas. Take advantage of its spacious inside auditorium for important conferences. Our philosophy is based on an environment without any formalisms or strict etiquette. The M/V Galapagos Legend has 52 ocean view, air-conditioned cabins plus 3 interior ones, each cabin counts with lower beds and private facilities in which a matrimonial, double, triple or quadruple options are available. We have suited a new cabin configuration to assure enjoyment for families and friends traveling together. Each cabin includes: hair dryer, special bedding, and updated furniture. Internal, local and international satellite telephone service is offered, Internet is accessible when anchoring in main islands. Voltage is set for 110-220 volts/60 Hz. The Balcony suites have private balconies and panoramic windows to immerse yourself within the vast landscape that you are about to witness and enjoy it privately. The Junior suites have three meters of panoramic windows to enjoy the scenery.